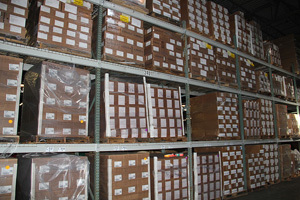 Whether through building mixed pallets of products or re-packing for small package ground shipments, Bonded Service can handle all parts of getting your sales orders or transfers ready – prepped and out the door to your customers. We integrate with your sales programs to allow a seamless transition to your customer. With things like compatibility with online retailers and the ability to ship on 3rd party accounts, Bonded Service provides order fulfillment services that gives you flexibility. Contact us today for a free consultation.